Articles make it easy to create rich and beautiful content in Channels. They are designed for long news, blogs and all types of content that needs a rich medium to be expressed properly. The Article is designed from the feedback that we've received from our customer and our partners. They are a bridge between content in Pages & Channels, designed to bring engaging medium for company news, blogs and, well any content that needs more than a normal post can offer. All beta -customers can access Articles. 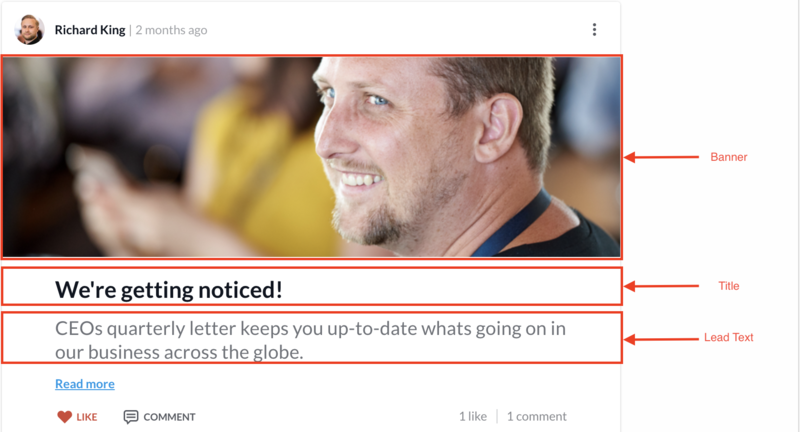 Articles are connected to a Channel and can be created by clicking the article -button in the new post box. 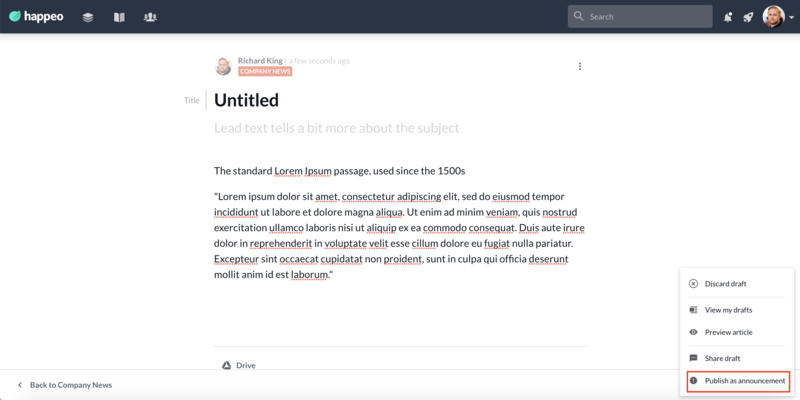 Based on the feedback, Articles have auto-save function, which will save unpublished articles in to your drafts. Add a banner image (recommended 1400 x 500 px). Write a title and lead text. The banner, Title and Lead Text will show in the post. Now you can start writing and adding content. All text can be styled. You can also add Images, Videos, Tables, Bulleted Lists, Numbered Lists and a Horizontal Line. YOUR DRAFTS are a new state of post & article. Articles are automatically saved to your drafts as you type and posts can be saved from the "more"-button. Every draft belongs to a Channel, so you can access that channels drafts and shared drafts from the Channel widget panel. SHARED DRAFTS are the same as before. The difference is, that shared drafts are now editable by all Channel editors, making it easy to collaborate on drafts. ANNOUNCEMENTS are the same as before. A post and an Article can be made as an Announcement. The update is that you can now change this state, i.e. you can make a non-announcement into an announcement (and vice versa) by opening the edit mode and changing the type from the "more" button.